Dr. Stephen Yao BDS, DDS, MSD of Braces for Pretty Faces joined the Marines and Galaxy Press through their wholesome adventure Stories from the Golden Age—written by L. Ron Hubbard who was also a US Marine—in an all out campaign to attack poverty and illiteracy through the U.S. Marine Toys for Tots Literacy Program. I feel it is vital for children to learn how to read. When you know how to read, whether it's an encyclopedia or just an instruction manual to your phone, it will open the doors to all future possibilities. Dr. Stephen Yao BDS, DDS, MSD of Braces for Pretty Faces joined the Marines and Galaxy Press through their wholesome adventure Stories from the Golden Age—written by L. Ron Hubbard who was also a US Marine—in an all out campaign to attack poverty and illiteracy through the U.S. Marine Toys for Tots Literacy Program. According to the National Center for Children in Poverty over 16 Million children in the United States live below the federal poverty level. When asked why he felt it so important to contribute to this charity, Dr. Yao replied, "I feel it is vital for children to learn how to read. When you know how to read, whether it's an encyclopedia or just an instruction manual to your phone, it will open the doors to all future possibilities. Study after study has shown that success in life is very intimately related to literacy." Dr. Yao also supports a variety of local charities as he sees it his mission to give back and enhance the communities around him. Some of the organizations he has contributed to include: Boys and Girls Club of the Bay Area, Community United Youth Center, San Jose Firefighters Burn Foundation, City Team Ministry, SPCA, women shelters and church and school organizations. His annual Halloween Candy Buy Back program also supports troops in the US and overseas. The Toys for Tots program began in 1947, after WWII, in Los Angeles when Major Bill Hendricks and a group of Marine Reservist collected and distributed 5,000 Toys to needy children. Then in 2008 in order to do something about illiteracy, the Toys for Tots Literacy Program was launched with the mission to offer our Nations most economically disadvantaged children the ability to compete academically and succeed in life. Big named companies such as The UPS Store, FAO Schwartz, Hasbro, Toys R Us, The Walt Disney Company and many more all joined the fight in supporting the Toys for Tots Literacy Campaign. 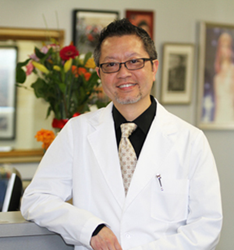 Dr. Stephen Yao has been practicing orthodontics since 1994. He is a Top 1% Elite Invisalign doctor (one of 50 or so in the world). He is also accredited by the Better Business Bureau and a Diamond Certified provider with 98% satisfaction rating!